The full range of 47 colours in 60ml tubes was formulated originally for the professional user. Read a review of these paints from The Artist Magazine. As a dedicated oil painter I only use artists quality paint like Michael Harding and Blockx, etc, but some colours can be 'drop dead on the spot expensive';, so I was interested when I saw these. They come in a well filled tube with no air pockets or oil separation of the colour and have good secure caps. The consistency is not at all stiff but creamy like toothpaste yet will hold brushstrokes when used Impasto. The colour is strong and vibrant, but leans to a dark viridian which I like as it stands tinting down with white. It tints down very well indeed with Titanium white, Zinc white and Flake white without any problem. It brushes out really well and mixes equally well with other colours and as expected is very transparent when used with thinner. Tried out the Ken Bromley own brand for the first time ordered more the week after, totally satisfied. These paints are a good texture, like toothpaste, well filled tubes with no air pockets or oil seperation, and they brush out really well. The tints don't grey out abnormally from the parent colour unless desired, in which case they grey out lovely. 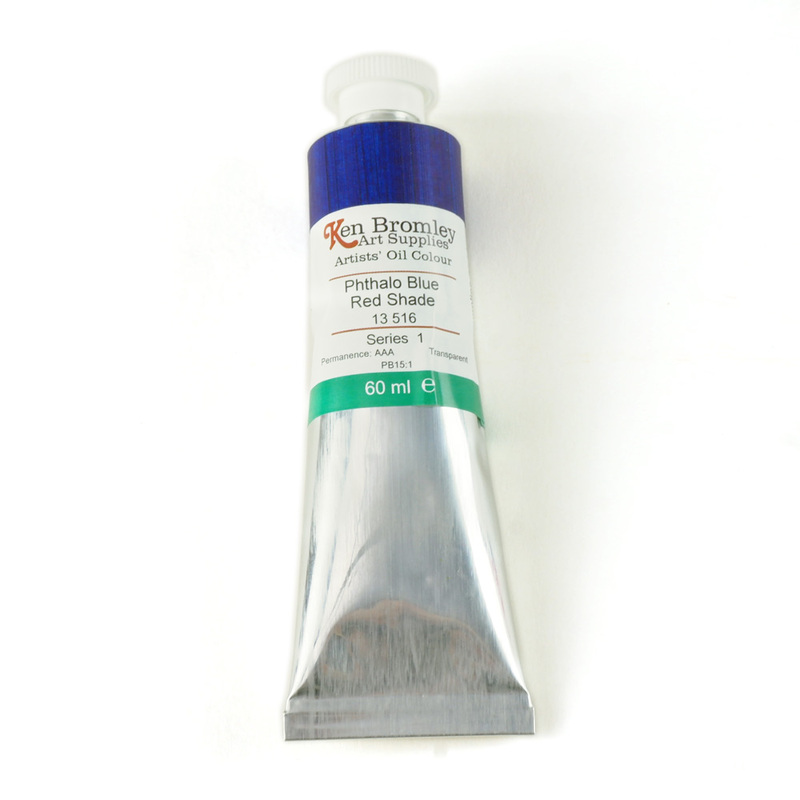 As expected from Pthalocyanine the pigment is incredibly strong and goes a LONG WAY! So beginners be careful of the strenght.